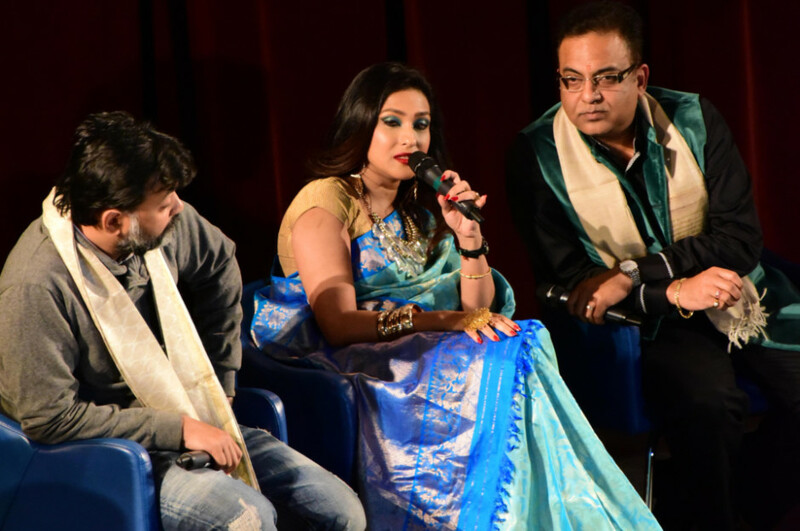 If the response at the second edition of Abhijaan, a Bengali film festival is anything to go by, then it must be admitted that there is a small yet passionate expat audience in Dubai hungry for quality films from the eastern part of India. As the curtains came down on the three-day affair at the Conference Centre, Knowledge Village in Dubai, on Saturday, the selection of recent Bengali films showed the industry is ready to delve into a range of subjects — from thrillers in a film-within-film scenario to whodunits to cater to the tastes of the new-age cineplex audience back home. Riuparna Sengupta, a National award-winning actress who has straddled mainstream and arthouse Bengali cinema with ease for over two decades, exhorted the gathering to “watch movies in halls rather than downloads.” She was also proud about the emergence of a number of women directors to carry forward the legacy of Aparna Sen, who has made films in Bengali, English (36 Chowringhee Lane) and Hindi (Mr & Mrs Iyer). “There are a number of new names like Shibani Roy, Aditi Roy who are doing some good work,” said Sengupta, who had two of her films screened at the festival. The other participants in the discussion were veteran actor Dhritiman Chatterjee, Saswata Chatterjee, director Srijit Mukherjee and distributor Arijit Dutta. The seven films which were screened were Chatuskone (The Four Angles), directed by Srijit Mukherjee, Bharate (The Tenant) by Anindya Ghosh; Teen Kahon (Three Obsessions) by Bauddhayan Mukherji; Byomkesh Phirle Elo (The Return of Byomkesh) by Anjan Dutta; 89 by Manoj Michigan, Ek Phali Rodh (A ray of sun) by Atanu Ghosh and Ebar Shobor (Now Shabar) by Arindam Sil.